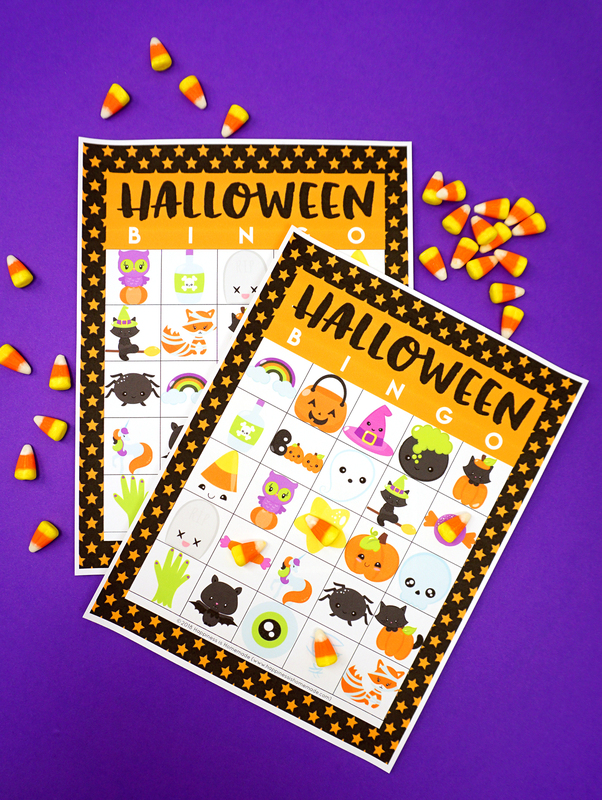 Use our printable Halloween Bingo Cards to play the cutest Halloween game ever! 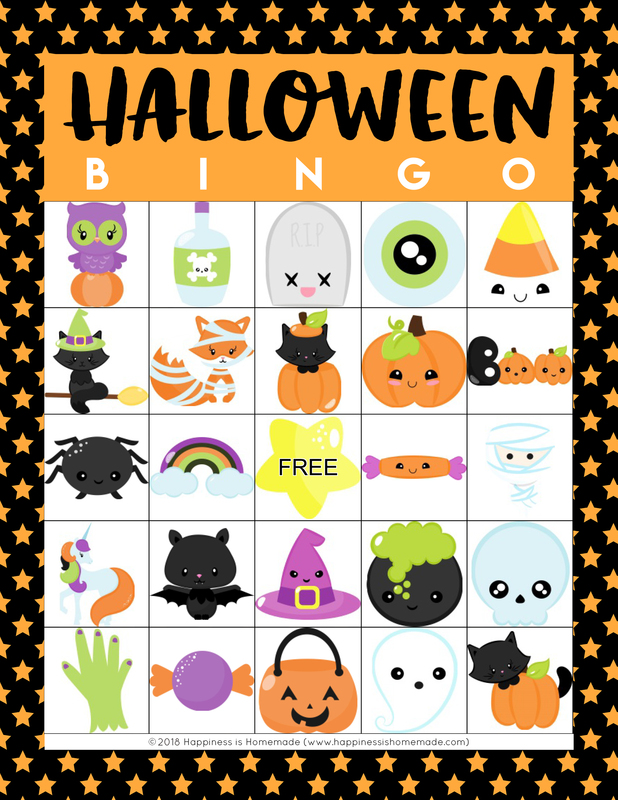 This Halloween Bingo Game is a ton of fun for kids and families! 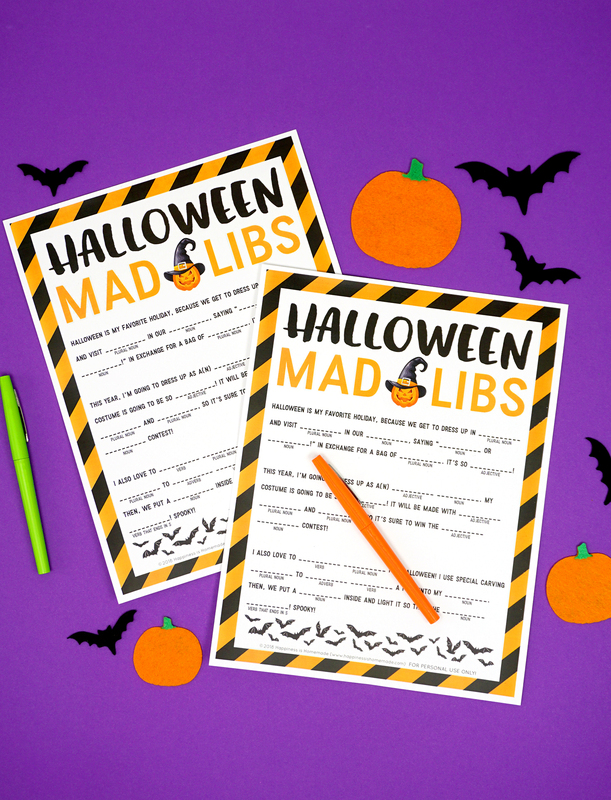 Perfect for families, classrooms, Scout troops, Halloween parties, and more! 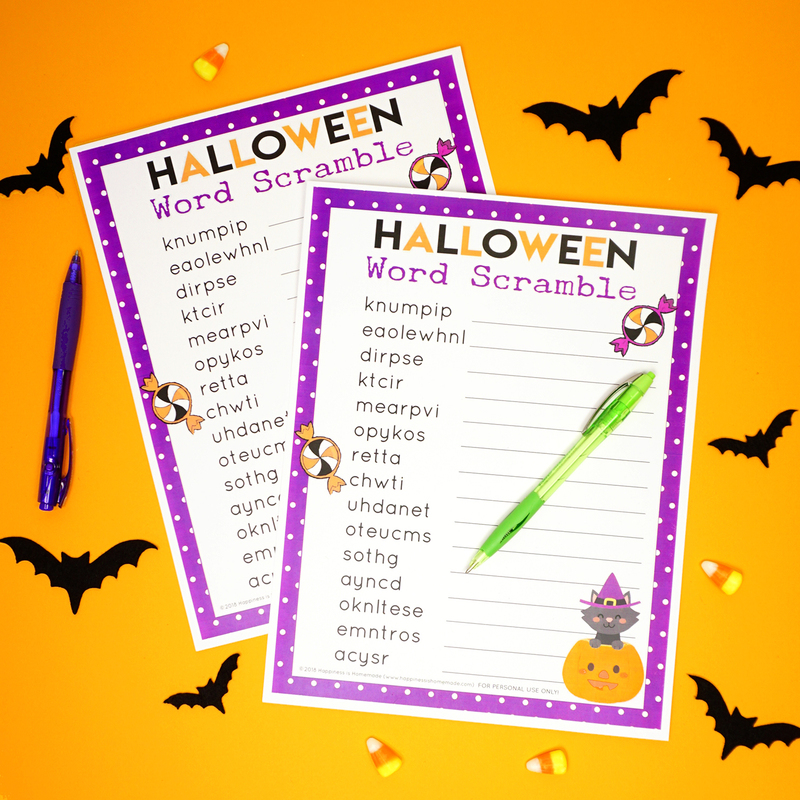 No-prep Halloween games are my favorite because they’re ready-to-go and don’t require any special supplies or equipment. 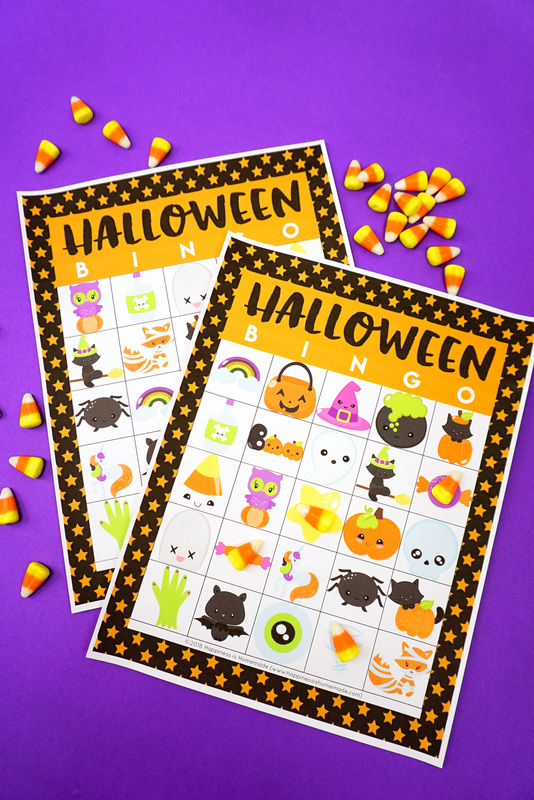 Our printable Halloween Bingo Game is perfect for families, classrooms, Halloween parties and more – simply print and play! Print out a bingo card for each player along with one set of calling cards. Cut out the calling cards and place the cards into a bowl or a hat. 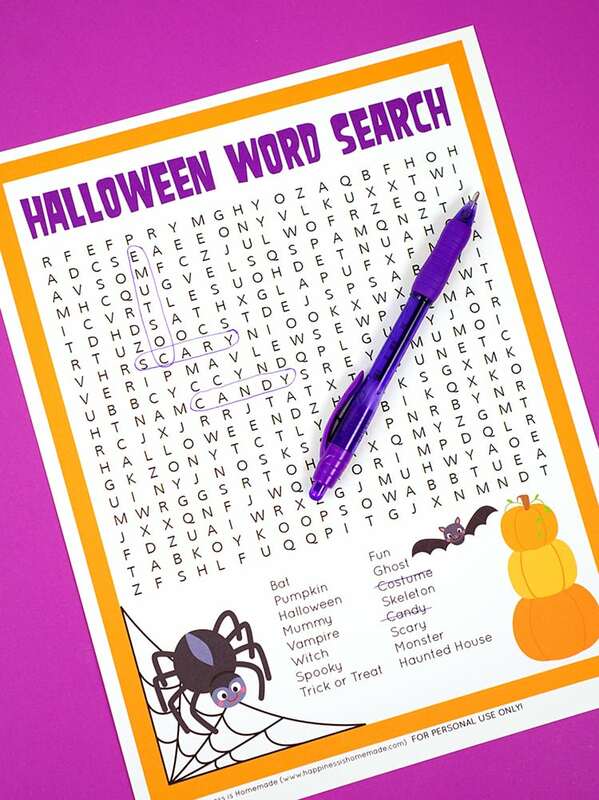 Cover the corresponding image on the bingo card with a marker (candy corn, pennies, and cereal O’s all make great markers!). 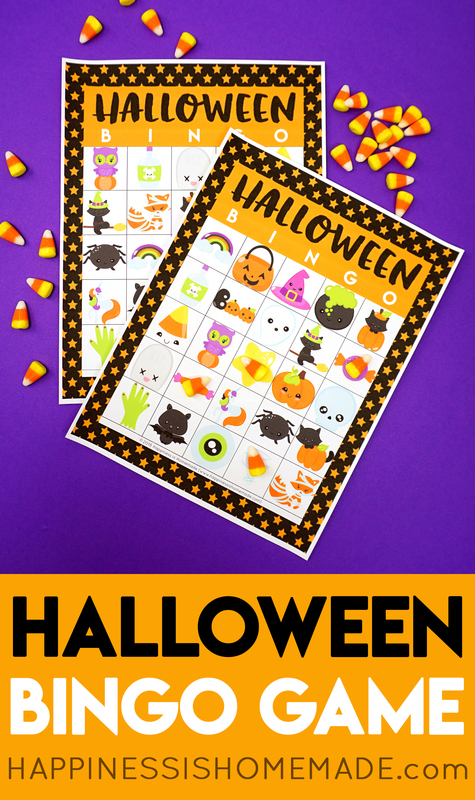 Use our free set of Halloween bingo cards to play with your friends and family! The free set of six cards is the perfect size for most families and small groups, but if you need larger quantities, we have upgrades available in the shop! The upgraded card sets come in bundles of 10, 15, 20, 25, 30, 35, and 50 cards, so there’s something for groups of all sizes! 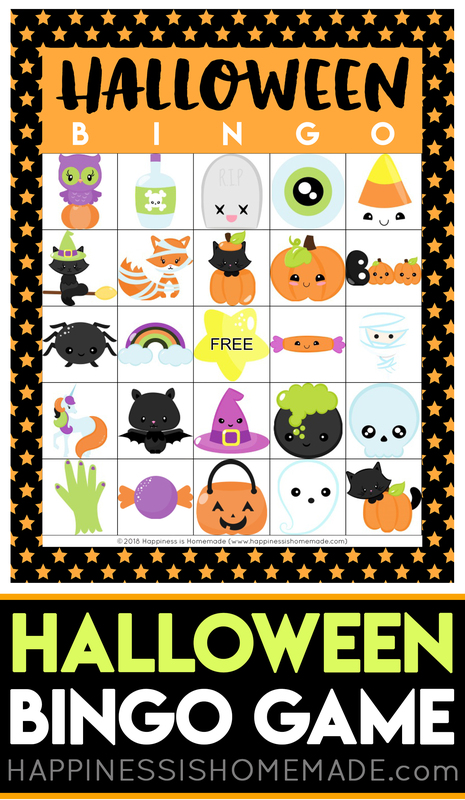 Note: the Halloween Bingo Cards in the free 6-card set are different than the upgraded sets listed in the shop. If you need 15 cards, for example, you may download the free set and then purchase a 10-card upgrade for a total of 16 unique cards! 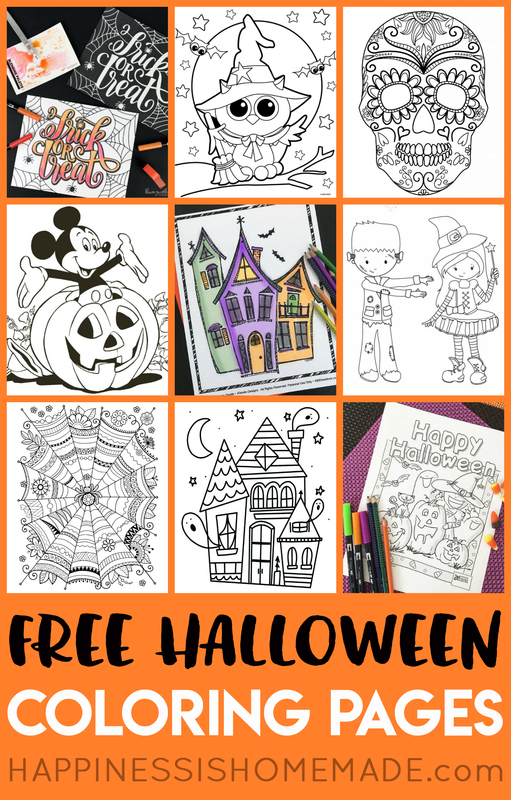 Pin the Halloween Bingo Cards for Later!